The introduction of this article is devoted to the distinctive challenges posed by this era of mega-terrorism initiated by the 9/11 attacks. The article offers a critique of the American response which is based on a ‘war’ rather than a law enforcement paradigm. An argument is then made to adapt international law to new modalities of conflict while at the same time learning the right lessons from the repeated militarist failures of transnational counterterrorism. These issues are further considered via the parallel analysis of American counterterrorism policy by the distinguished diplomat, Chas Freeman. The difficulty of turning the ship of state around on fundamental issues of security. This is partly because political leaders and their advisors continue to subscribe to hard power versions of political realism, which affirms an abiding faith in the agency of military power in international conflict situations. A combination of bureaucratic and special interests (military-industrial complex) that resist all efforts to reduce the defense budget, and are inclined to justify with militarist bravado high fiscal outlays to augment military capabilities even in peacetime, reinforced by exaggerating security threats that are usually accompanied by fear-mongering; a compliant media has the effect of setting limits on ‘responsible’ debate, marginalizing the critics of militarism. A prevalent feature of collective political consciousness, which views current forms of terrorism as both evil and extremely frightening, with restored security depending on their elimination, and not an eventual negotiated accommodation. More controversially, the merger of counterterrorist tactics with a broader American program of global pacificiation that depends upon a structure of military globalization that is given the unacknowledged mission of upholding the neoliberal world economy. This necessarily mixes the pursuit of geopolitical goals that arouses anti-West resentment with the realization of somewhat inconsistent counterterrorist objectives. The Iraq War, its motivations, frustrations, and eventual failure, exemplify the tensions and contradictions caused by pursuing geopolitical goals beneath a banner of counterterrorism. The adoption of this militarist agenda by the United States is tantamount to a partial rejection of the ethos of self-determination in the post-colonial era and as such opposes the flow of history. The militarist mindset, by its very nature, does not adequately explore alternative and complementary nonmilitary responses to terrorist provocations, and as a result tends to produce outcomes that are the opposite of what is set forth as initially justifying military intervention. For instance, the attack on Iraq was seen as part of a policy to contain Iran, yet its effects were to expand the regional influence of Iran, including the irony of bringing Iraq into its sphere of influence. In this respect, the United States, at great expense, produced widespread devastation and casualties. It not only failed to achieve its goals, but has become worse off than had it accepted Saddam Hussein’s autocracy as it did gratefully during the Cold War due to anti-Soviet, rather than anti-Iran priorities, and then, incidentally, turning a blind eye toward the abusive human rights record. Dreaming of Freedom encourages its participants to speak naturally in their own voices, rather than seeking to depoliticize them or impose false notions of “innocence” on those who have participated in a just anti-colonial struggle. By placing Israel’s military detention of Palestinian children in its full context – not only the Israeli occupation itself, but also Palestinian resistance to it – Dreaming of Freedom offers valuable insight into the lives of children whose forays against heavily-armed soldiers, walls and tanks have inspired millions. Being children does not spare them the horrors endured during a life under siege – prison cells, beatings, torture and humiliation. This powerful book is the reflection of these realities. They are first-hand testimonies by children whose rights have been violated with no accountability whatsoever. This book voices their heart-wrenching stories, perhaps with the hope that people around the world may understand their ordeal and answer their pleas for freedom and justice. The stories contained within this book captured one of the most overlooked aspects of the cruel war on Palestine – the children, who represent the future of this broken nation. Although many of the children displayed resilience and defiance despite torture and imprisonment (some repeated times), we ask ourselves, are these normal emotional and psychological processes for children? Cover illustration by Mahmoud Salameh, political cartoonist, film maker and Palestinian refugee from Yarmouk camp in Syria. He now lives in Sydney but dreams of returning to Palestine where his parents were born. The oranges on the cover are a symbol of his stolen land. What strikes me most directly after reading these moving statements by Palestinian child prisoners is the aura of state terror that pervades the lives of all Palestinians living under occupation. Horrifying as is the experience of these children, mainly mid-teenagers, the deeper horror is the degree to which the entire community of Palestinians is scarred for life by Israeli brutality. Of course, it is the stone throwing children that bear the brunt of the violence that is reported by the vivid statements compiled here, but their younger siblings and older parents and relatives that are also being scarred for life by the arrest and interrogation process developed by Israel that seems calculated to be as intimidating as possible. Reading through such pages of torment, a pattern of abuse clearly emerges that exhibits Israel’s total disregard for international human rights and international humanitarian law as it applies to these young Palestinians, who are totally vulnerable to such oppressive tactics. Although international humanitarian law fails to focus with sufficient specificity on the vulnerability of children, there are some general measures of protection given in Articles 71-74 of the Fourth Geneva Convention, which ensures that any civilian subject to occupation who is charged with criminal activity shall be informed in writing in a language that he or she understands, is assured the right to the assistance of a lawyer, and must be given the opportunity to present evidence in defense. It is no surprise, based on our knowledge of Israel’s apartheid administration of Palestinians living under occupation that none of these rights are recognized and respected. Indeed, the daily reality of life for Palestinians of all ages is one of rightlessness and unconditional vulnerability. Despite the generality of abuse to which Palestinians of all ages are subjected to throughout their entire life, it is important to take account of the particular forms of experience that are the tragic destiny of Palestinian children, realities that begin from the earliest stages of childhood. What these reports convey as a result of their overlapping accounts narrated with a concreteness that makes the reader confident about the credibility of the stories being told. This credibility is further reinforced by the consistent reports of respected Palestinian and Israeli NGOs concerned with the protection of human rights of those being subjected to the rigors of Israeli criminal law enforcement. In other words, from everything we know, there is every reason to place trust in the accuracy of these first-person accounts, and given the careful method by which this material was assembled it is possible to construct an accurate portrayal of this pattern of lawless law. Among the features of this pattern that particularly stand out, I would mention the practice of apprehending Palestinian youth accused of resistance activity in the middle of the night in the presence of the entire family including very young siblings. The accused youth is literally seized from his home and family without being informed of what he is alleged to have done, with parents being given no idea where he is being taken and for how long. Invariably, as well, the child being taken captive is painfully tied and blindfolded often in the presence of his family, thrown onto the floor of a military car, and generally badly beaten while being taken to an interrogation center or some preliminary holding area. The interrogation process is itself completely alienating and calculated to overcome even the most stubborn refusal of a teenage boy to cooperate with his jailors by acknowledging guilt. It seems clear that the ‘crime’ that almost all of these Palestinian children are accused is throwing stones at vehicles that belong to Israeli security forces or settlers. There is no claim by the Israeli authorities that these stones caused any injury or even damage, but the allegations are treated as if involving the most serious imaginable crimes. As has been observed by progressive Israeli journalists and others, the throwing of stones should be principally understood as forms of symbolic violence expressive of the inherent right to resist unlawful and abusive occupation. What is more, such stone throwing is consistently met with excessive force by Israel that constitutes violence of a much more punitive and consequential nature, and seems inflicted with an intent to intimidate not only the immediate victim but Palestinian youth in general. In the end, the tactics used by Israel are mostly successful in extracting confessions from the Palestinian children, seemingly regardless of whether the allegations are accurate or mistaken. What we take away from the ‘confessions’ reported in these statements is an utter inability to determine whether it is accurate or fake. As the prisoners are being threatened with continuous beatings, contrived reports that others have independently confirmed the accusations, prison ‘plants’ or ‘snitches’ who mislead the accused on behalf of the captors, and a variety of abusive practices, it is hardly surprising that the will of these children is eventually broken in almost all cases. In a manner that I encountered in apartheid South Africa maintaining innocence is usually punished worse than confessions, whether true of false, and thus there is no incentive whatsoever to hold out. What is even more dehumanizing, is the demand of Israeli officials that these Palestinian teenagers implicate their friends and neighbors. It is evident that several of narrations compiled here report great courage in holding out by refusing to confess, although in such a confined setting where the difference between guilt and innocence is obliterated the significance of such a sacrificial resolve of steadfastness is rarely appreciated or even known in the outside world. Another striking feature of this arrest and interrogation experience is the punitive reliance by Israel on post-release punishment in the form of house arrest. Several of these young Palestinians declare that would prefer confinement in an Israel prison than enduring house arrest. At first, this preference is difficult to comprehend. On reflection, it becomes more understandable given the nature of life under occupation that allows so few opportunities for satisfaction, and house arrest is a tantalizing deprivation of the comraderie of friendship and neighborhood life. These Palestinian children express a shared feeling of humiliation that seems to be even more painful for them than the beatings received. The word (izlaal in Arabic) recurs repeatedly in these narratives, and I think testifies to the dehumanizing effects caused by feelings of helplessness and futility, which Israel seeks to induce so as to give rise to an atmosphere among Palestinians of resignation, if not spiritual surrender. A similar approach is evident in relation to house demolitions that are justified in the name of security, but are carried out for the sake of collective punishment and intimidation. Jeff Halper, a respected Israeli critic of the practice estimates that less than 1% of all house demolitions have a genuine security justification. There are several conclusions that emerge from this deeply moving collection of separate but interconnected witnessing by these Palestinian children. First of all, the urgent need for a distinct international treaty devoted to the situation of children living under conditions of prolonged occupation. Realizing that Israeli occupation has lasted almost half a century with no end in sight, it is intolerable from the perspective of human dignity and human rights, to fail to offer much more concrete protection, including procedures for redress of grievances. Secondly, we need studies of the longer term effects in terms of trauma of such arrest and interrogation experiences, as well as on the impact on families and communities not only of the dynamics of victimization, but also of the shared sense of hopelessness that is the inevitable byproduct of witnessing a brother or son dragged away by abusive soldiers in the middle of the night. And thirdly, we need widespread dissemination of these Israeli policies and practices, especially as carried out with the evident intent of immobilizing resistance to an unlawful occupation that has gone on far too long. 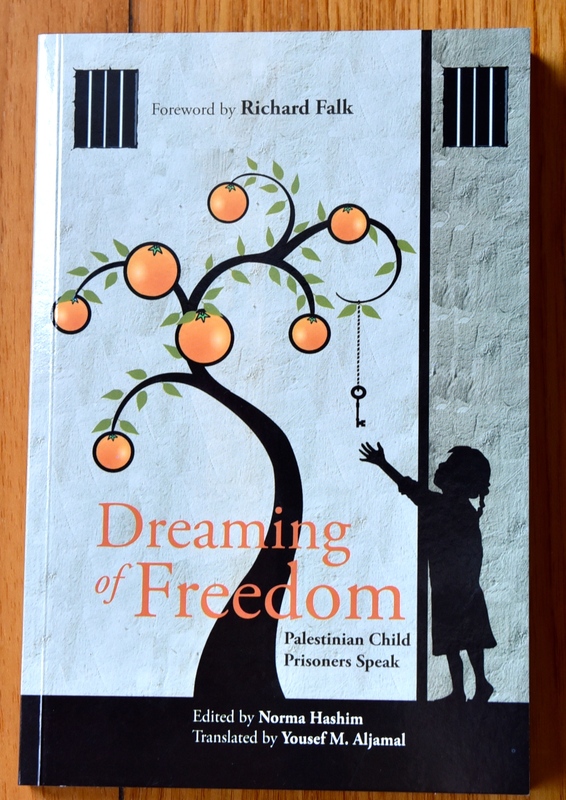 In this spirit, I commend a close reading of Dreaming of Freedom: Palestinian Child Prisoners Speak. With such knowledge solidarity with the Palestinian struggle for freedom and dignity becomes almost a psychological inevitability and an even more urgent moral imperative of our world than we previously realized.